As a food blogger, I feel like I can never have too many cute little plates. You know the ones, tiny, nice curves, perfect for a small portion of perfectly placed chow! Well ladies and gents... I found a pretty cool company. (actually they found me and I'm so happy they did!) CatererStore.com sent me a dozen samples of their amazing little plates/bowls/spoons that are perfect for serving appetizers or in my case, PERFECT for pictures for a food blog! I can guarantee you are going to see these bad boys a lot in upcoming posts. They also have lines of disposable plates (perfect if you don't feel like cleaning said cute amuse-bouche plates after the party is done). Not green enough for you... that's ok, they have bamboo plates too among other green products! I seriously can't wait to start coming up with ideas of how to serve things on these! I have a feeling John is going to be rolling his eyes at me when he sees dinner is served on 12 mini dishes hehe! Sounds like fun!! So what would be the first thing you would want to make and take pictures of on these cute guys? those are adorable! at a conference for work last week we had these mini caesar salads that were in little edible cups...they'd be perfect on those dishes! I love little plates but at the same time hate them, (as you know I do catering) and have no closet space due to all the little plates, spoons, bowls, etc that I have! Those are so cute Steph. I want some too! they are cute, i'm really curious how small they are. big enough to hold dipping sauce? 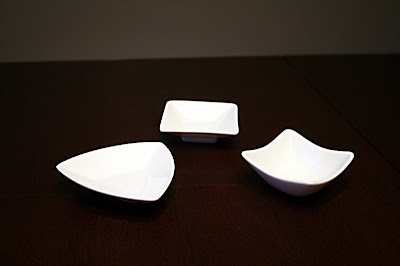 i l-o-v-e tiny dishes! cute food always tastes...cuter? these are pretty fantastic and i love that they are all white. So cute. They look perfect to show off a fancy soup. Please make homemade spring rolls! down and out chic- they could totally hold dipping sauce, I should measure them, but they would fit in the palm of your hand for sure! thanks everyone for all the great ideas! Can't wait to start using them in photos! I'm confident you will do some cool photos with the small plates. Thank you for the comment! As a new blogger, it's like fireworks each time I've gotten one. And WOW - what amazing design/fotos. Have you ever done a 'how-to' design/foto post? I'm sure lots of other bloggers out there would love to hear your tips and directions. I LOVE these plates. They remind me of the little dishes we were served appetizers on at the cocktale party when I went to Blogher Food. So dang cute. I'm off to check out the link! Congrats on winning a trip to the foodbuzz conference. Cant wait to hear all about it! I love them all. Great portion control too! Oh wow those are tiny! Small plates for small bites- tapas! Very cute. I would love these! These are so cute! Perfect for taking pictures! I'd start taking pictures of everything I ate - in tiny portions! Wow! Prett darn cool. Looking forward to your future posts using these one-bite wonders. Hi! Congratulations for your blog! I'm Andrea, an Italian guy who created and managed a Food&Drinks blog. Wow, those small plates are so neat! Definitely would be perfect for all my small tastings! thanks for all the great ideas guys! Jul- thanks so much! I haven't done a post like that yet, but it's a great idea! Natalie- you must have so many from doing catering!! How do you store them all yikes! 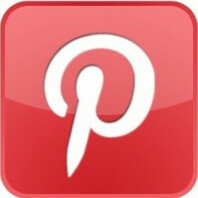 Andrea- can't wait to check out your blog! hmm... for some reason coconut shrimp and some fantastic sauce underneath jumps to mind. How exciting to receive all those cute plates! I used to use one plate only and it was one from ikea that I got for .50! When I got bored of my plate, I would use my cooling rack. Just recently, I bought a curved plate to expand my collection..haha. Those are adorable! 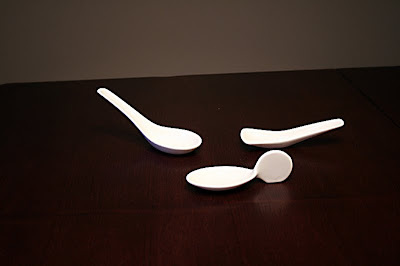 I've seen the little spoonlike ones used at weddings for amuse-bouches. I definitely think you should try all sorts of your favorite things in bite-size versions... or get creative and make your own special amuse-bouche! We had deconstructed pork and beans as an amuse-bouche once... so it doesn't even have to be complicated - just the perfect bite. Can't wait to see what you come up with. 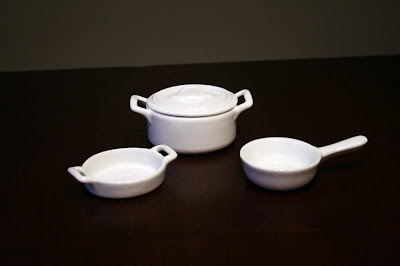 Wish I had a whole set of mini dishes! 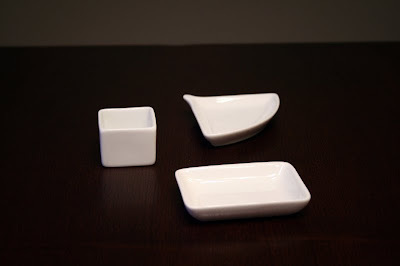 Those are really great plates--I love all the different sizes and the white makes for really good food pics!